Valentine's day is linked to the love and friendship. In this day is usual girlfriends or boyfriends give gifts to each other. Of course, we share a gift guide that will help you to surprise the love of your life. 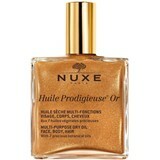 For the girlfriend who loves fragrances, offer the Huile Prodigieuse L'Or of Nuxe (1.) 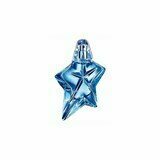 for a skin with a shimmer finish, or surprise with the iconic fragrance Angel Eau de Parfum (2.) in a unique version of 15ml rechargeable flacon. For the girlfriend fanatic for makeup, we suggest Lancome lipstick L'absolu rouge matte No. 197 (4.) with the classic red color, in a matte finish and so it's long lasting. 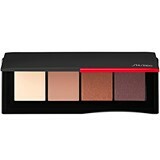 Shiseido recently revamp its make-up range, so another suggestion is offer the new Essentialist eyeshadow palette in kotto street vintage (5.). 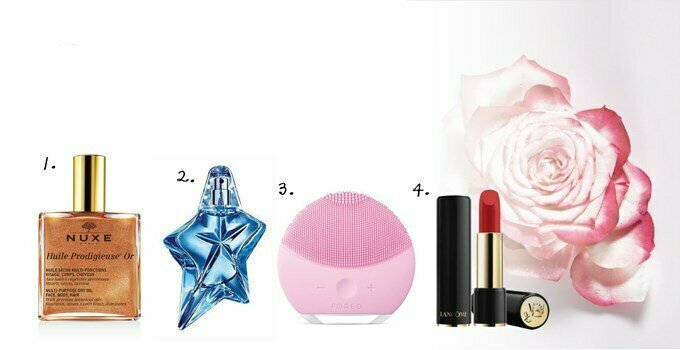 As you maybe know, a good makeup requires a good skin, so here is another suggestion that you can find at discount in our shop for these days, the Luna mini2 of Foreo (3. ), a cleaning machine with rechargeable battery and waterproof. Coffrets and Kits are also great options to offer, and our selection goes to the perfume Amor Amor with body lotion (6. ), almost like a subtle message to remind her your love, or then if she loves skincare, got the kit from Sesderma (7.) 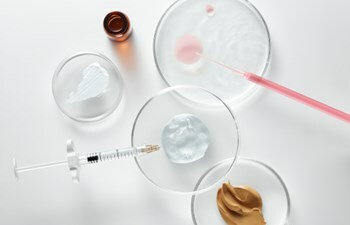 which includes a moisturizing cream Hydraderm, eye contour cream Sesgen 32 and a mask Sesmedial moisturizing. For men who love gadgets, surprise him with the Lelo Oden 2 (1. 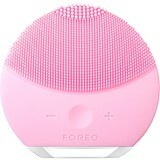 ), a device to couple pleasure; or whether it is a man who likes to take care, have a Luna mini2 of Foreo (2. ), a machine that cleans your face with sonic vibrations. If he is a fragrance man, our suggestion goes to a special version ofA * men in 30 ml (3. ), or Y Eau de Toilette(4.) from Yves Saint Laurent if he prefers less intense, lighter and fresh scents. Coffrets exists also for men, and if he have beard this kit with the best sellers of the 99 House (5.) promises to be the ideal gift to offer. For men who like to take care of skin, there are several options. Our selection goes to the anti-aging eye serum Force Supreme of Biotherm (6.) 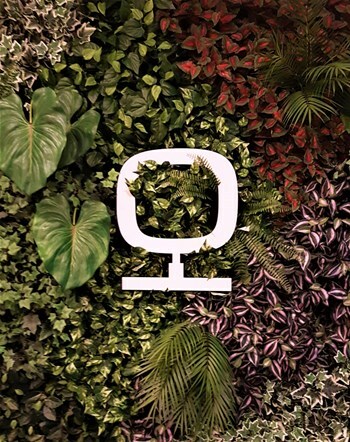 that help fight the signs of age and repair; and the Hydra-Sculpt from Clarins (7), which not only moisturizes as redefines the contours of the face. Have you already found your perfect gift?